T-Advisor suite for wealth management is a resource for investors to obtain the best information from their positions. 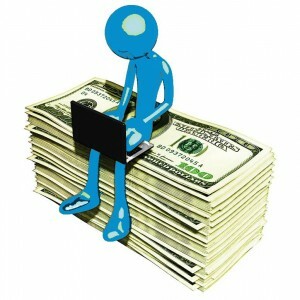 The different tools offer the real situation of the investments and several data to analyse them and take decisions. T-Advisor has the tool “My Portfolios” to join different shares taking into account personal criteria, as geographical area or economic sector, for instance. Once the portfolio is organized, the investor obtains the main data, as valuation, the year-to-date performance and the year performance and the volatility. 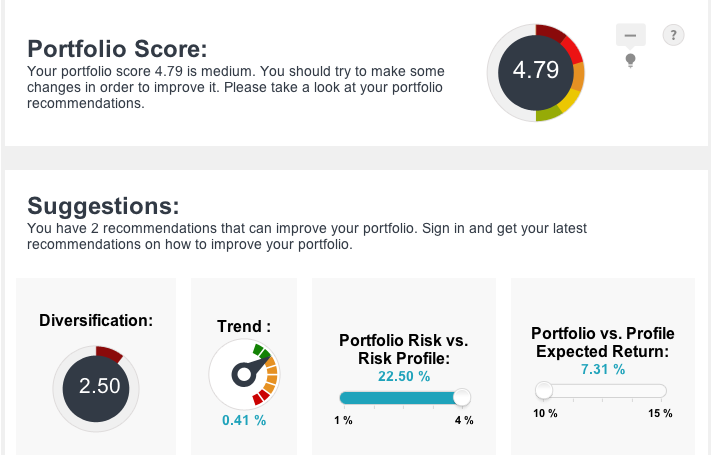 If we select a portfolio, T-Advisor shows a complete report about it. Charts and graphs will report about diversification and performance. We also obtain information about the best shares of our portfolio and a summing up of the changes in our investments. Investor will see a report about specific data from their positions, to value keeping or changing to increase or reduce them. “Trade list” section collects all transactions that the investor carries out to follow the portfolio changes. Information is the best tool to take investment decisions. T-Advisor was thought for that. That is why the “Diagnosis” section shows the whole portfolio details about valuation, asset allocation, risk and the contribution of the different shares to the performance of the portfolio. Finally, the “Follow Up” section offers several suggestions to improve the portfolio performance. T-Advisor offers the best information for investors to take the best decisions. A selection of relevant information, as T-Advisor does, gives the ability to manage portfolios and obtain the best results. This entry was posted in Discover and tagged Diagnosis, Follow up, My portfolio, T-Advisor, Trade list on November 28, 2013 by Oscar Garcia. Exchange Traded Funds, broadly known by its initials ETF, are a kind of security available in Stock Exchange. As they are listed in the markets, they work as stocks, although they have some features from mutual funds. As a stock, prices move continuously and are always updated, against mutual funds, whose prices are updated when markets are closed. So, investors have permanent information about the value of their positions and can react to change the strategy. As a stock, also, investors can buy on margin, short sell o hold for the long term. But there are more advantages to be considered. ETFs track indexes, sectors or a basket of securities (for instance, different shares, commodities, bonds), that means, they are linked in their performance with the yields obtained from these investments. Investments are diversified with no effort looking for new securities and trading non-stop. In the finance jargon, this is known as passive management. Traditional mutual funds develop an active management to outperform the markets. In other words, to get more yield than the indexes or sectors. ETFs just follow the trend of the market and their managers only make some little adjustments to keep the line. This kind of management has an immediate positive aftermath: costs are quite less for the investor. 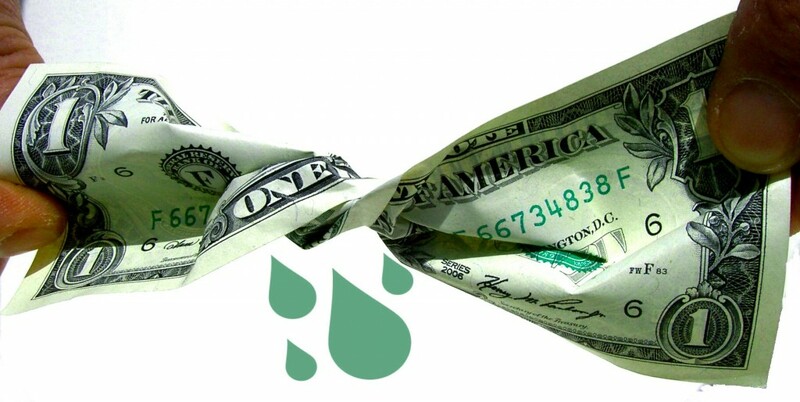 Fees and administrative costs are lower, as they need fewer resources to get results. So, price transparency, diversification, fewer costs and flexibility are the main advantages. 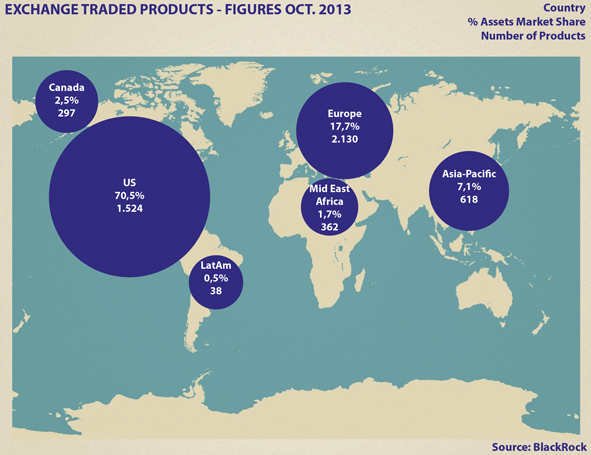 ETFs market has widely developed in the last years. 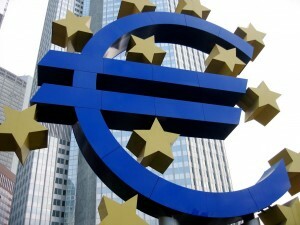 Global flows reached $32.9 bn only in October, but from January the flows come to $194.2 bn, so a recent BlackRock report. Bloomberg ranks the biggest ETF in the US by investment sectors and Morningstar ranks also ETF by performance. Some funds beat 100% yearly return. T-Advisor, aware of the good performance and advantages of ETF, recommends these products in the investment planning tool. This entry was posted in T-Advisorpedia and tagged Advantages, Diversification, ETF, Mutual Funds on November 14, 2013 by Oscar Garcia. We would like to share this article that analyzes two latest reports about the growing popularity of web-based personal finance startups and discount brokerage platforms in wake of 2008 crisis. Online personal finance startups and discount trading platforms are not just for the do-it-yourself crowd anymore — and that poses a threat to traditional financial advisers, new reports from Corporate Insight and Cerulli Associates Inc. show. The last Corporate Insight study, takes note of more than 100 investing and personal finance startups with great appeal for younger investors. Nearly twice as many U.S. retail investors are using direct-to-investor platforms offered by discount brokerages such as The Charles Schwab Corp., Fidelity Investments and E-Trade than in 2008, when the financial crisis hit, according to the Cerulli report. While discount brokerages have long appealed to do-it-yourself investors, their improved tech platforms and financial planning services now also appeal to mass-affluent investors who lost trust in big banks during the market meltdown. Add to that the growing popularity of online startups, and it’s clear that traditional financial advisers must now work harder to capture investors’ assets. Corporate Insight’s report, “Next-Generation Investing: Online Startups and the Future of Financial Advice,” examined more than 100 investing and personal finance startups and found that they are redefining how investors get financial advice with scalable, low-cost solutions. Among these startups are Jemstep, which offers automated “buy” and “sell” recommendations for client portfolios; Covestor, which allows investors to mimic the trades of professional investment managers; and LearnVest, which offers online-only personal financial adviser relationships without any face-to-face interaction. To be sure, not all of these startups will succeed. Mr. Easterbrook added, however, that the proliferation of startups highlights the longer-term trend of baby boomers being replaced by Generation X and Generation Y investors. According to the Cerulli report, “U.S. Retail Investor Product Use 2013,” of the roughly $27 trillion in retail investor assets, $4.3 trillion now is on discount brokerage platforms — twice as much as in 2008. The advisory channels account for $15.4 trillion of that total, while channels such as non-adviser-sold retirement plans account for $4.5 trillion. At $5.2 trillion in assets, wirehouses still control the largest slice of the advisory segment, but their influence is slipping. “The four firms that comprise the channel have lost overall market share in the last several years, but remain the most concentrated asset bases in the retail investing world,” Cerulli reported. As online tools become more popular, however, assets will move away from wirehouses toward independent advisory channels, as well as direct distribution platforms, especially for mass-affluent investors with assets in the $500,000 to $2 million range, the Cerulli report predicted. Among the channels, registered investment advisers have seen “the most appealing growth” in the past four years, the report noted. This entry was posted in News and tagged Cerulli, Corporate Insight, Financial planning, investing on November 4, 2013 by admin.